NEW IN STOCK. £3025 WORTH OF OPTIONS. 'BRITISH RACING GREEN- METALLIC'. HPI CLEAR. DATE OF REGISTRATION: 11/12/2015. ONLY one registered private keeper from new. 2 Keys. Documented MINI Services: 4561 miles and 5302 miles. 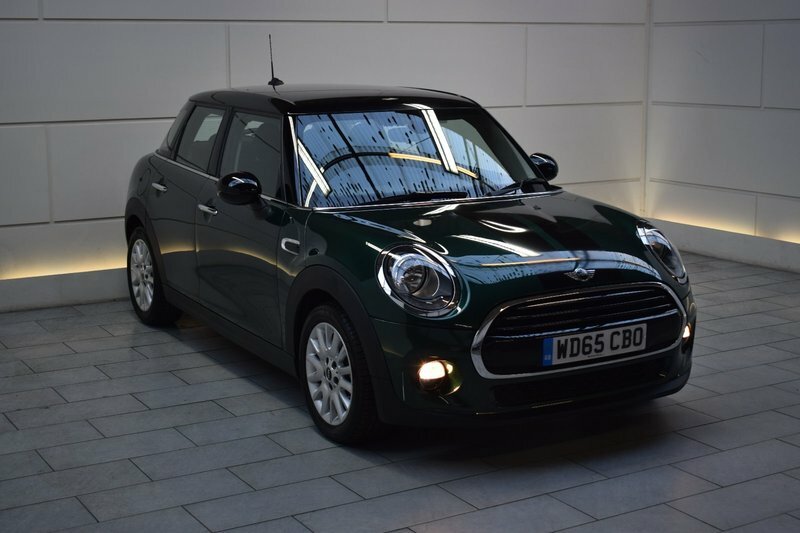 Highly desirable options when ordered new include: CHILI Pack, Metallic Paint Option- British Racing Green, Visual Boost Radio, Cloth/leather Diamond Carbon Black and Colour Line - Carbon Black. ONLY £20 ROAD TAX. Genuine low mileage example. Exceptional level of specification and condition. AA Approved Dealer. 12 month AA Breakdown Assistance included. Finance available. Part Exchange Welcome. Visit our website: www.rdmdirect.co.uk to view our latest diversified stock listings.